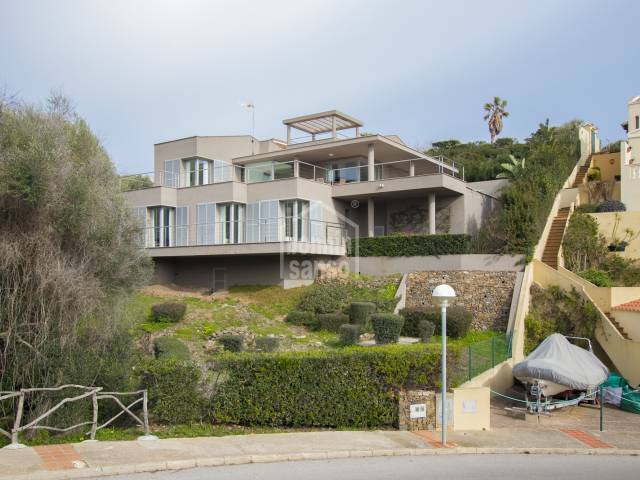 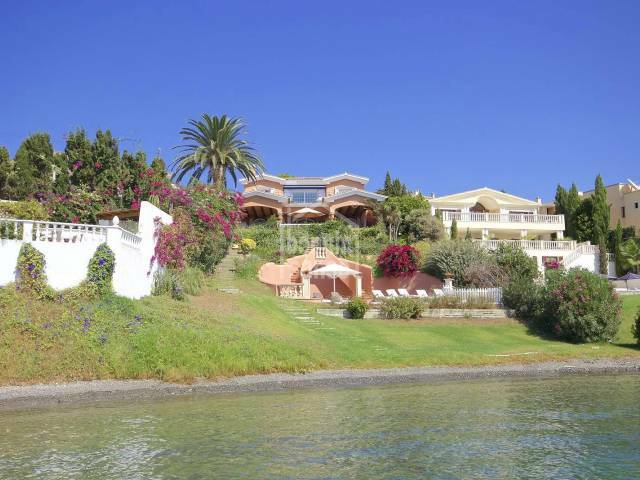 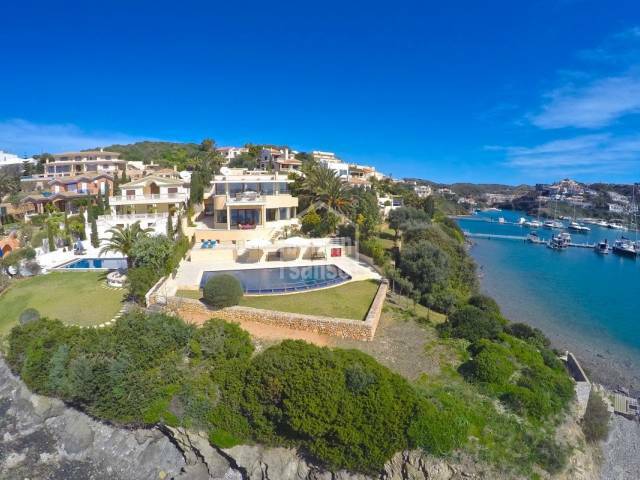 Superb villa in Cala Llonga on a flat plot of 1.069m² and enjoying excellent views over the harbour and towards the mouth of the harbour, watching the boats coming and going. 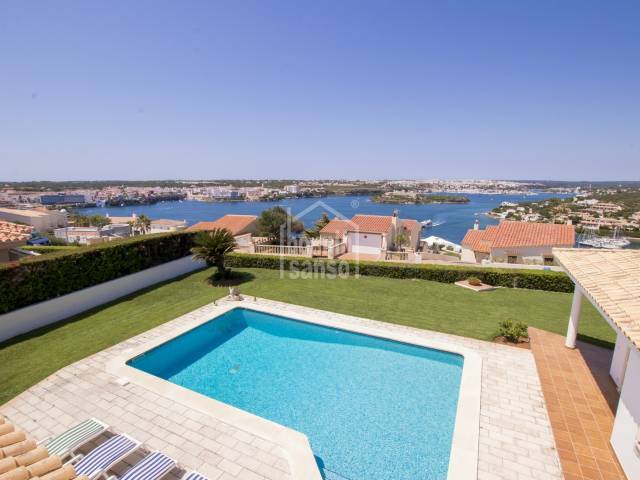 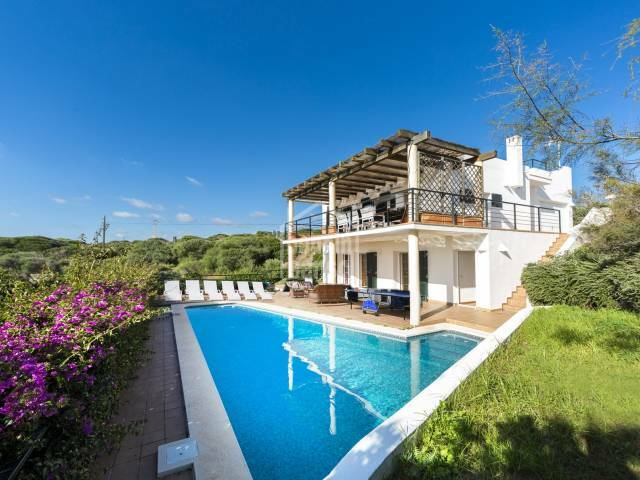 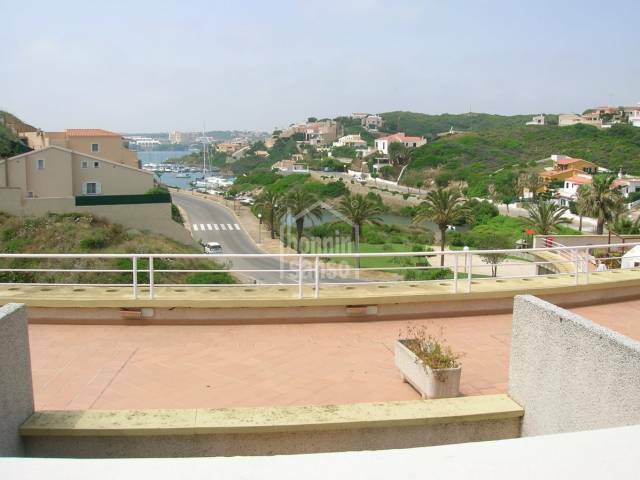 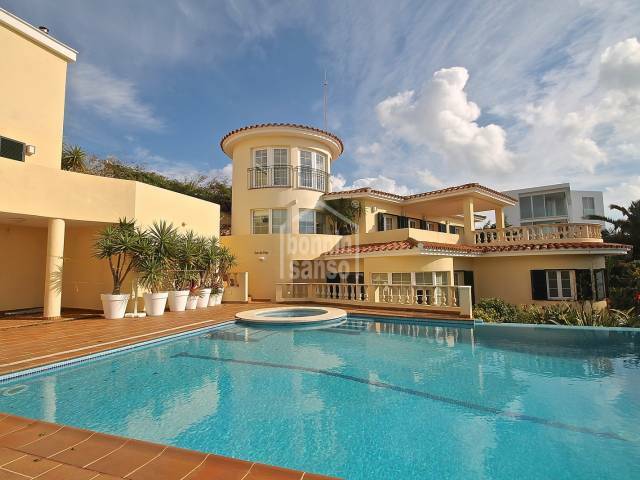 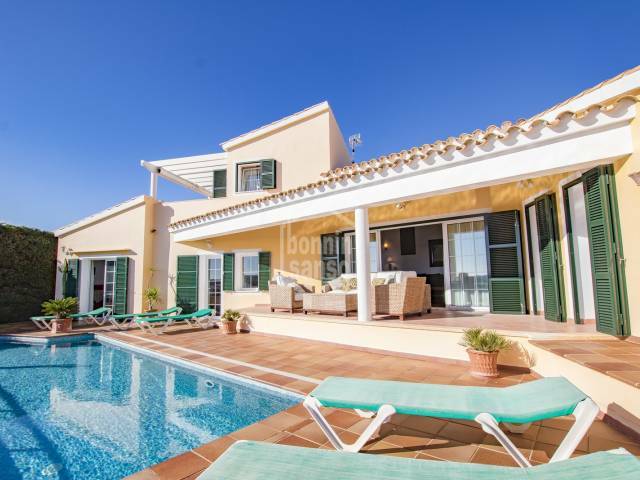 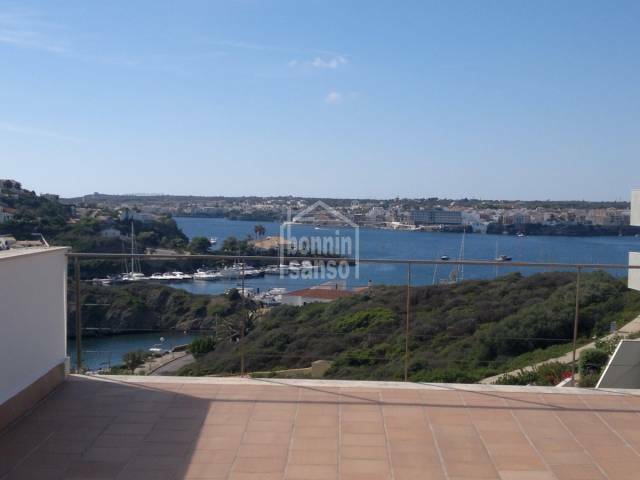 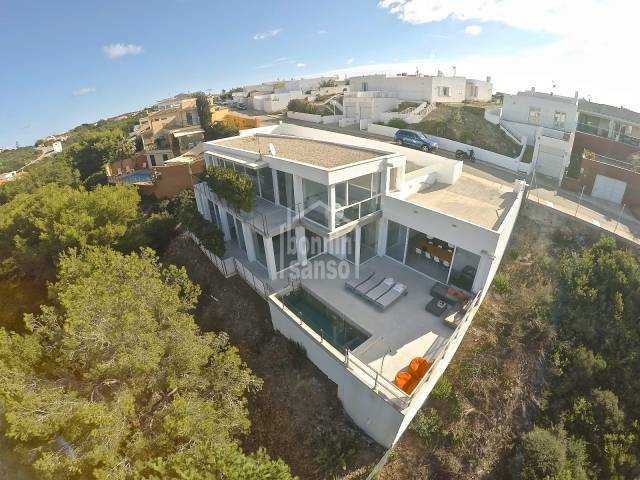 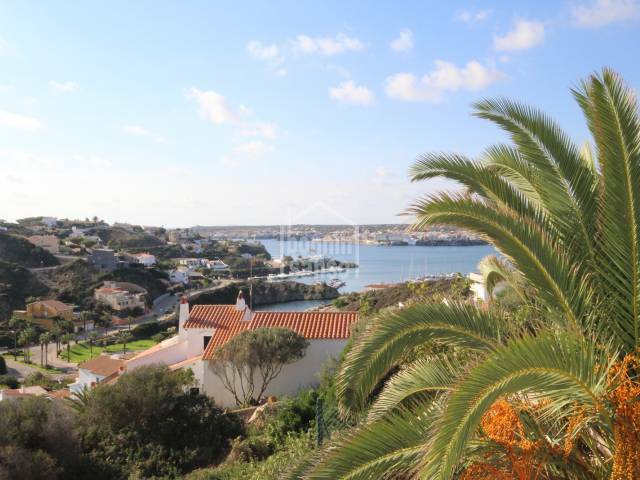 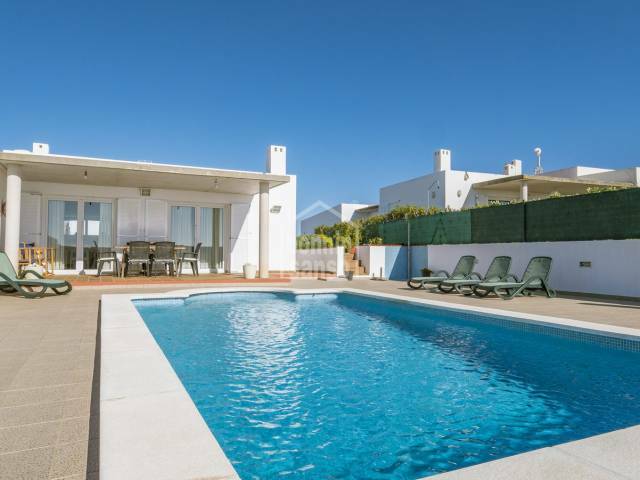 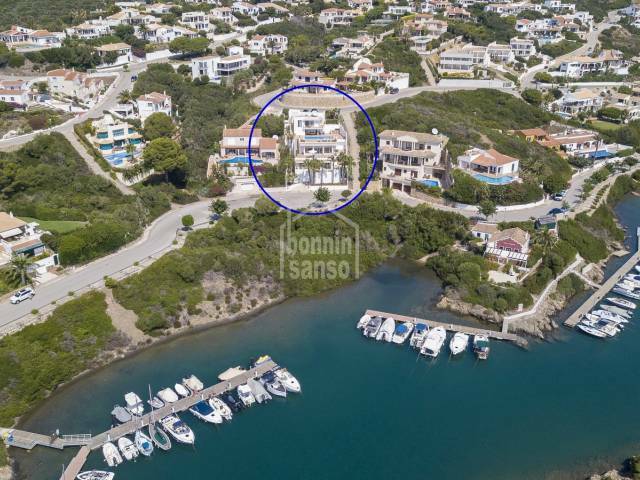 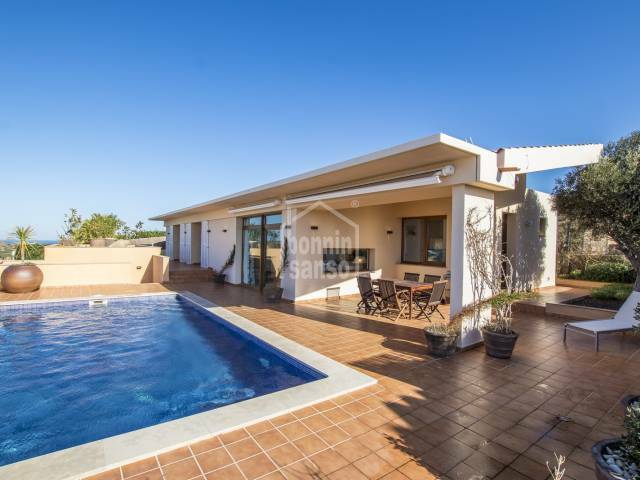 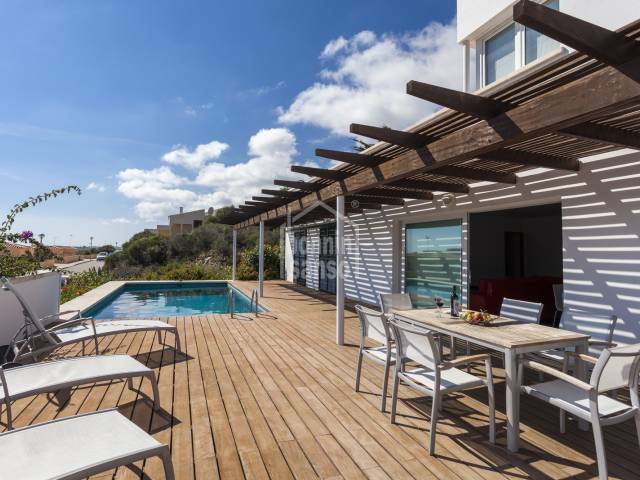 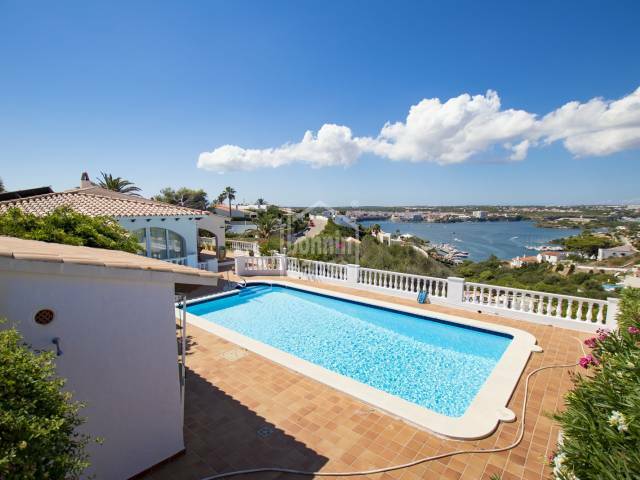 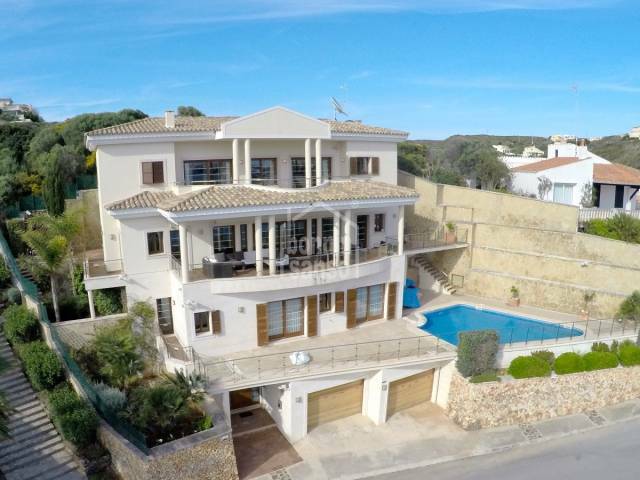 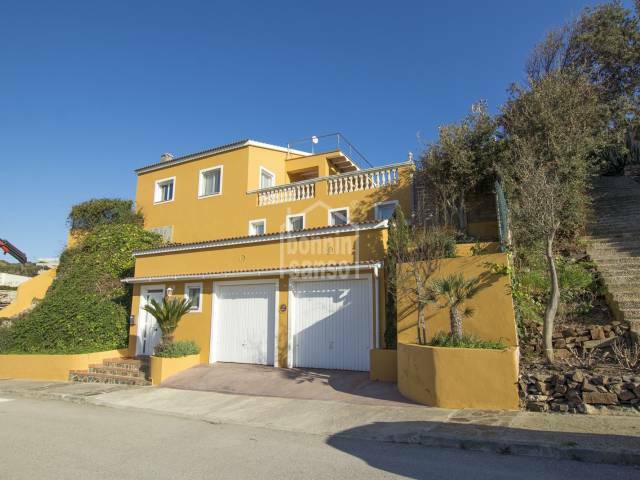 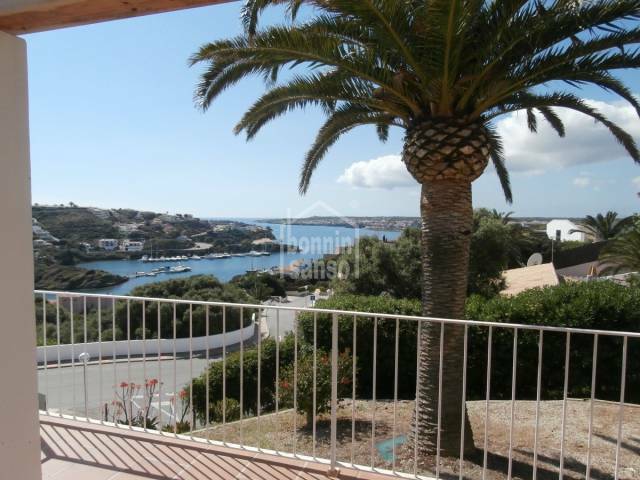 Enjoying one of the most sought after and prestigious situations in Menorca, this private detached family villa is front line to Mahon Harbour and has spectacular southwesterly views. 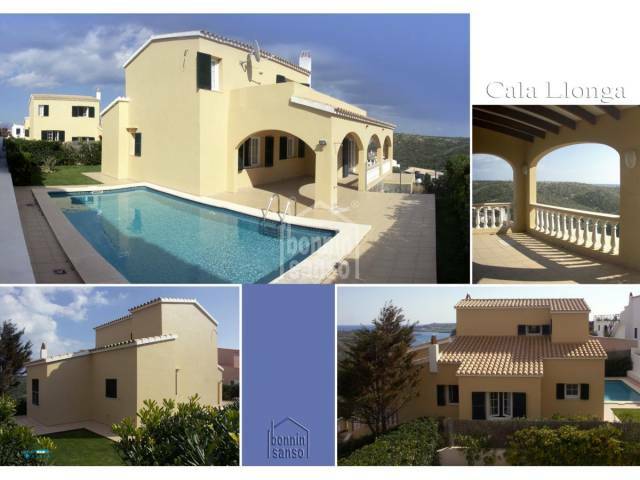 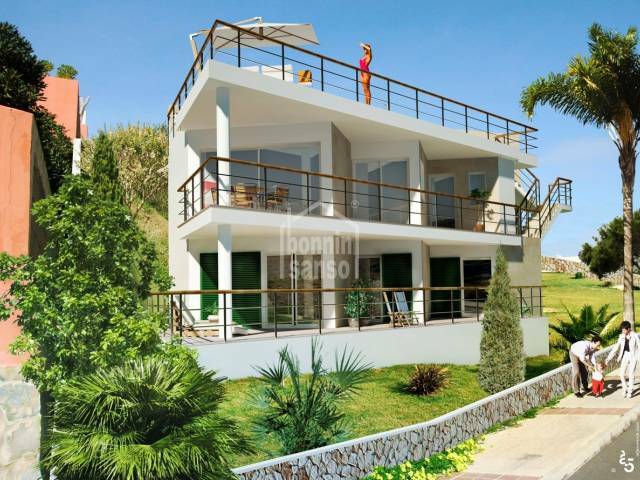 A building plot in the exclusive area of Cala Llonga with plans to build a modern 3 bedroomed, 2 bathroom villa with some sea views and a swimming pool on the roof terrace.